Founder Nicole Marquis at HipCityVeg’s Broad Street location. HipCityVeg — the homegrown, fast-casual eatery serving vegan burgers, fries, salads, drinks, and desserts — is planning an expansion, and the Philly region will get at least one new location. Founder Nicole Marquis says the company has signed a lease at Suburban Square in Ardmore, between Trader Joe's and Sweetgreen. It will be the chainlet's first suburban Philly location. She expects it to open by next spring. 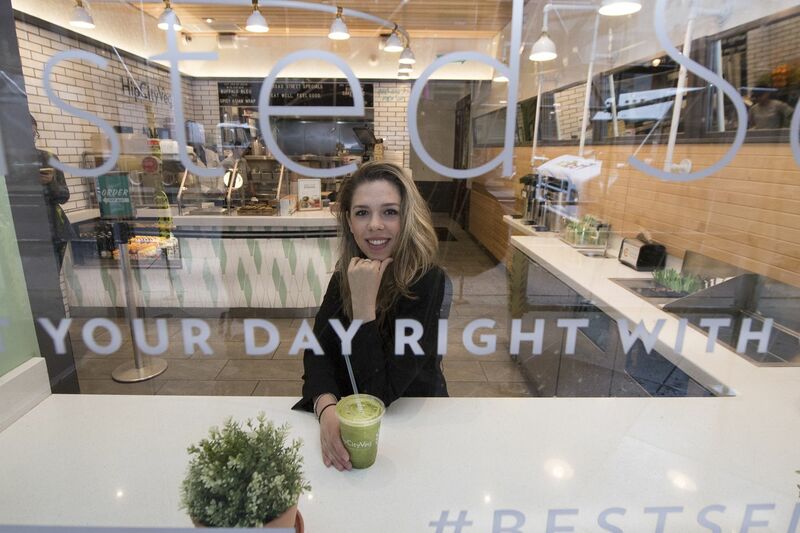 Vedge duo to open Fancy Radish in D.C.
She says she has deals on the way for three other locations, primarily in the Washington, D.C., metro. The HCV location that opened in mid-2016 in the District's Chinatown is now going gangbusters, she said, after customers overcame a learning curve. "People just didn't know who we were," she said. HipCityVeg took off quickly from its debut in April 2012 on 18th Street near Rittenhouse Square. Subsequently, Marquis rolled out outlets on 40th Street in West Philly, on Broad Street in Center City, and at Spruce Street Harbor Park on Penn's Landing. The company, discovering the world of catering, is about to introduce sandwich trays.